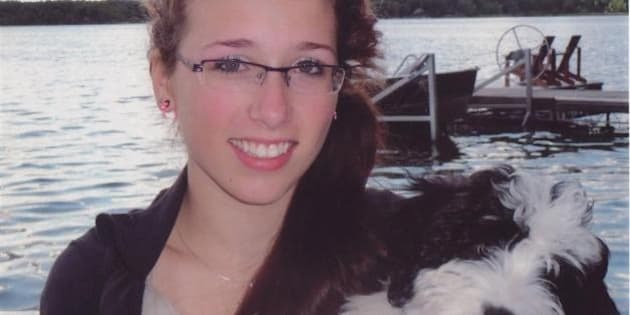 The IWK Heath Centre in Halifax is denying allegations from Rehtaeh Parsons’s father that his daughter was strip-searched by two men while receiving treatment for suicidal thoughts in 2012. Parsons took her own life earlier this year when she was 17 years old. Her family alleges she was sexually assaulted by several boys at a party and a photo of the incident was circulated online. Her family said she was bullied for months, and the relentless taunting led to her death. Glen Canning said that in March 2012, his daughter was suicidal, and he took her to the emergency department. She was admitted to 4-South, the mental health unit. Canning told CBC News Rehtaeh said she'd been strip-searched by two male workers in a side room who were looking for a razor. On Friday the health centre said it couldn't comment on Rehtaeh's specific treatment for privacy reasons. In an email the IWK said in extreme circumstances, clothing is removed from patients who are at a severely high risk of using their clothing to harm themselves. “We will reach out to Rehtaeh’s family to hear and discuss their concerns directly with them,” wrote hospital president and CEO Anne McGuire. Canning said Rehtaeh was adamant about what happened. “I’m going with what Rehtaeh told me because I was right in that hospital the day after this happened. I saw how angry and upset she was and she was yelling ‘they took my clothes off me, these two men held me down.’ I remember her specifically saying ‘Dad don’t they even know what happened to me before? You know how this makes me feel to have men do that.' I was shocked then. You don’t even know what you’re supposed to do. What am I supposed to do?” he said. Canning said the program provided Rehtaeh with some shelter from her bullies, but said the environment with other suicidal and depressed teens actually made things worse.